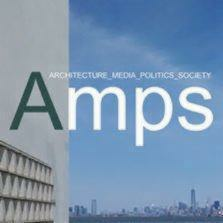 Drawing on cultural geography, visual cultural studies and theories of media ecology, this essay lays out a framework for collaboration between media scholars, architects and critics, positioning photographic social media such as Instagram as a means for pursuing questions about the changing role of landscape in the visual mediation of urban social life and public culture. While buildings and urban infrastructure also have mediating functions, I focus on designed landscapes such as public parks because they mediate visual perception in a manner that is historically intertwined with that of photography. Responding to existing interest in the critical reading of landscape values as well as research on new photographic forms and practices arising from social media use, I suggest that we take seriously the idea that landscape is itself a form of media. Attending to its ongoing interactions with other media will enable us both to specify the nature of its intermediality in a given time and place, and open a new space for reflexivity and critique. Beginning with an account of what is at stake in the visual mediation accomplished through urban landscapes on the one hand, and in the study of social media use on the other, I make a case for a critical, qualitative analysis of photographic content as opposed to quantitative analytics of the data associated with it. I then present an example of the kind of analysis I have in mind, drawing from an exploratory case study of photographs from Grand Park in Los Angeles (Rios Clementi Hale). In the process, I flesh out the concept of intermediality as it pertains to designed landscapes and demonstrate the kinds of questions and pedagogical opportunities such an approach may open.